This topic contains 0 replies, has 1 voice, and was last updated by John R 3 years, 9 months ago. Found under Oak trees on a dead branch. 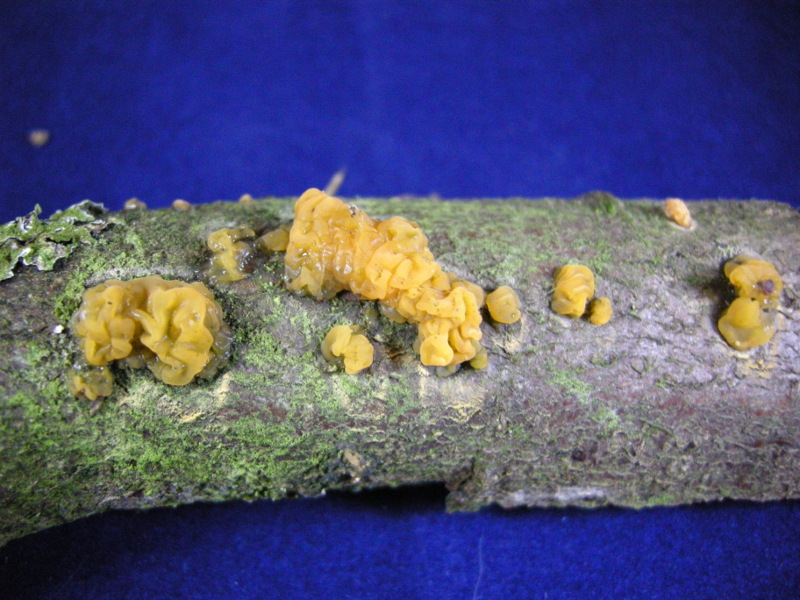 Fruitbodies 1-2 cm. Spores Me = 13.4 x 6 µm ; Qe = 2.2. Stained with Congo Red. Is this just Tremella mesenterica? 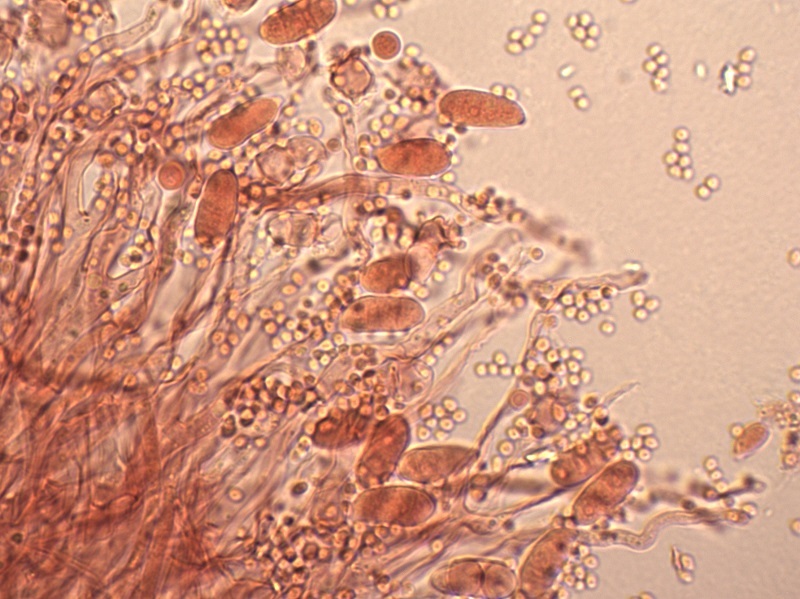 Small spheres could be conidia.